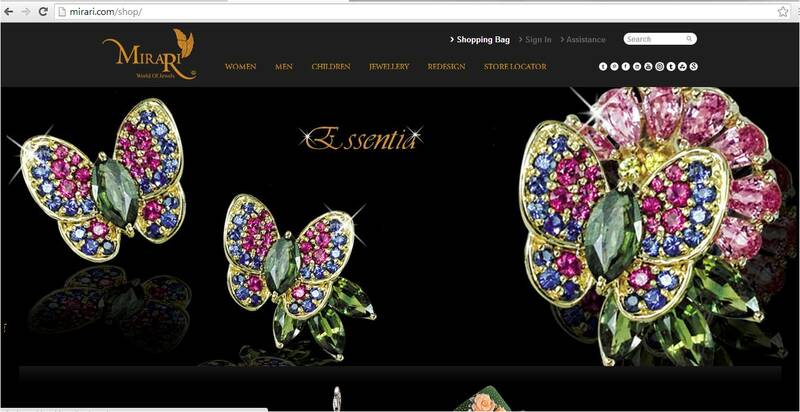 With an aim to reach easily the today’s busy women, especially the entrepreneurs and working women, Mirari Jewels takes its brand and products online with www.mirari.com. Along with the outlets in metro cities, the digital shop will serve as an extraordinary platform to jewellery lovers of all age groups as it will showcase the creative and magnificent designs of Mira Gulati, the creative head at Mirari. At the Mirari online store, the consumers can choose from a wide variety of pendants, rings, ethnic and fancy earrings, traditional and contemporary bangles, elegant bracelets and neckpieces. The collection is priced from Rs 8,000 onwards. The portal shall tailor its designs to meet each client’s personality and unique sense of style. India’s niche ecommerce player, Zivame, raises $6 million funding from Unilazer Ventures. A Ronnie Screwvala‘s funding firm, Unilazer is investing most of the money along with other participating investors. The funds will be utilised to up the marketing and also upgrade the platform to make it more personalised for consumers. 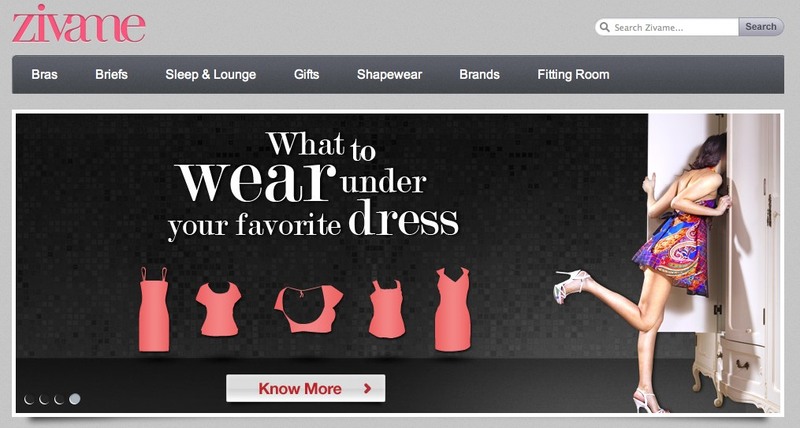 Zivame is India’s leading name in online retail of lingerie and sleepwear for women. The e-retailer also recently ventured in fast fashion products. 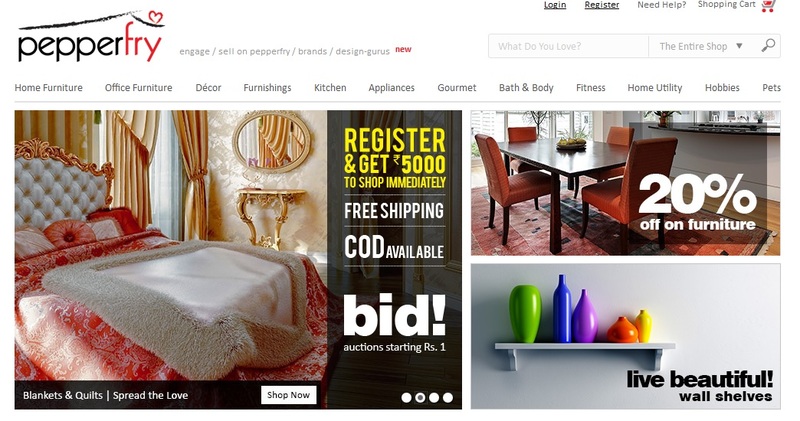 One of India’s leading marketplace for home and furniture segment, expands it services as it launches auctions. With this service, the consumers will be able to win items at the price they wish to pay. Pepperfry Auctions is an exciting and engaging format for enthusiastic and evolved Indian shoppers who’d definitely enjoy the thrill of purchasing unique home merchandise by competing with fellow shoppers. Pepperfry Auctions allow customers to bid for products that are perceived expensive and hence the customers can bid the price they wish to pay. Customers new to the auctions format can opt for Auto-bid which will act as their bidding manager and keep bidding on their behalf until the maximum amount set the by the customer is reached. 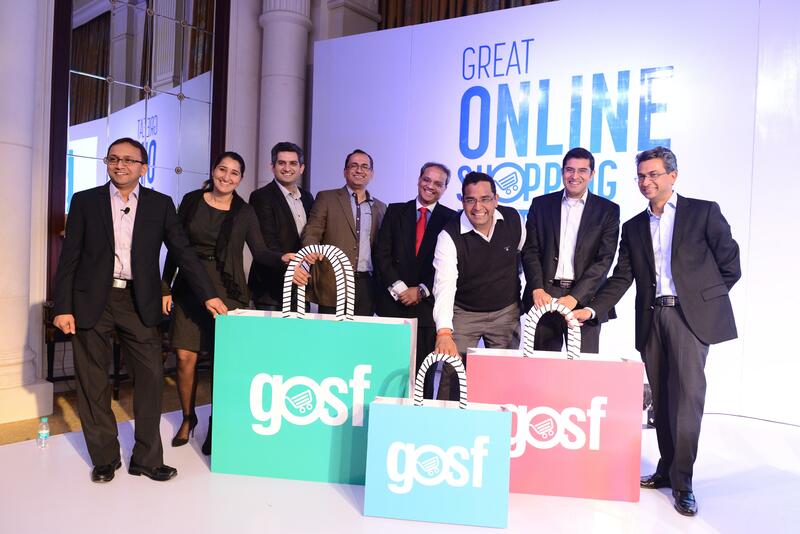 Tomorrow is indeed a day to remember, not just because its 11.12.13, but also a day to splurge online as Google announces the launch of Great Online Shopping Festival (gosf.in). The festival will go on from 11.12.13 to 13.12.13. This year the 72 hour shopping festival has gone bigger has the categories participating includes eading eCommerce players, local & classified companies, online travel sites, auto companies, telecom companies, fashion labels, health and well being companies, to banking financial Services. Consumers can avail great discounts and deals. Buyers can look forward to exciting deals across categories. Great Online shopping festival promises to offer something for everyone with great discounts on footwear, imported cars, property deals, holiday packages, insurance, spa packages, event tickets, grocery coupons, books, jewellery etc. Buyers can find discounts ranging from 20% up to 80% in many categories. Upto 60% off on luxury watches, 20% off on air tickets on domestic routes, upto 50 % off on speakers, headphones and men’s accessories, upto 80% off on home decor, flat 40% off on furniture, upto 50% off on TVs, upto 40% on mobile phones, upto 45% computers and tablets, upto 30% on cameras, 40% off on mens footwear and many more. 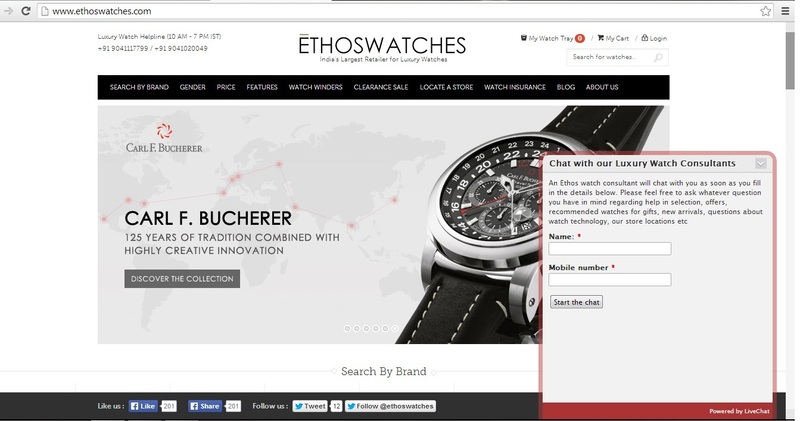 Ethos Watches, a conglomerate which brings exquisite and luxury timepieces, has gone online as it launches http://www.ethoswatches.com portal. The portal, though doesn’t let’s you make purchases, but you can choose and also select watches you would want to purchase. Customer, through the portal, can utilise the special support system called Luxury Watch Helpline where in he/she can dial in and speak to Luxury Watch Consultants for guidance in choosing the right watch. With this you can also get the Luxury Watch Consultant can arrange for an exclusive exhibition of the selected piece at the nearest store or even at your home. The website has over 3000 watches on display, meticulously segregated by strap type, dial colour, watch size, brand to name a few and over 30 luxury brands including Carl F Bucherer, Hermes, Breitling, Blancpain, Omega, Tag Heuer and many more. What more, flaunt your choices across social media. So go ahead, ‘Pin it’, ‘Share it’, ‘Like it’, or ‘Tweet it’. The multi-brand lifestyle online retailer, Koovs, has announced its plans to go public next year and get listed on the Aim, a sub-market of London Stock Exchange. Koovs had recently brought on-board Asos ex-chairman Lord Waheed Alli and Robert Bready as Chairman and Creative & Retail Director, respectively. Through the listing, Anant Nahata, the founder of Koovs, plans to raise GBP 22 million for the company. Nahata will be floating 35 per cent shares in the market and the rest will be divided among Nahata, Lord Alli and other management. The site which started business as a deal site, in 2012 became a full-fledged online retail store, selling a wide array of lifestyle brands focused on women. Though the company soon plans to expand offerings to menswear as well. The logistics company, DTDC, has now launched its own online shopping site. The store, shop.dtdc.com, has been powered by Martjack and operates on the marketplace model. The online store is selling a wide variety of products ranging from clothing, eatables and accessories. Moreover, the shipping is being done across India and other 225 overseas countries including Canada, USA, UK and Australia. It was earlier this year that the logistics company had started a separate arm to provide courier services to ecommerce players. With the expanding infrastructure market, mebelKart, a new venture has emerged in the home and decor e-commerce space. Started by industry professionals from IITs and BITS, have joined hands and are currently operational in Bangalore, Mumbai, Pune and Delhi. With an aim to offer good quality products and bring about transperency in the system of Furniture selling through the use of technology. MebelKart intends to use various technical tools to make the process of furniture selling customer friendly and seamless.MebelKart is already present in Bangalore, Mumbai, Pune, Delhi, Chennai, hyderabad and other various cities of india. The company is also working towards building web and mobile technologies for making a customer’s selection procedure and purchase easier. 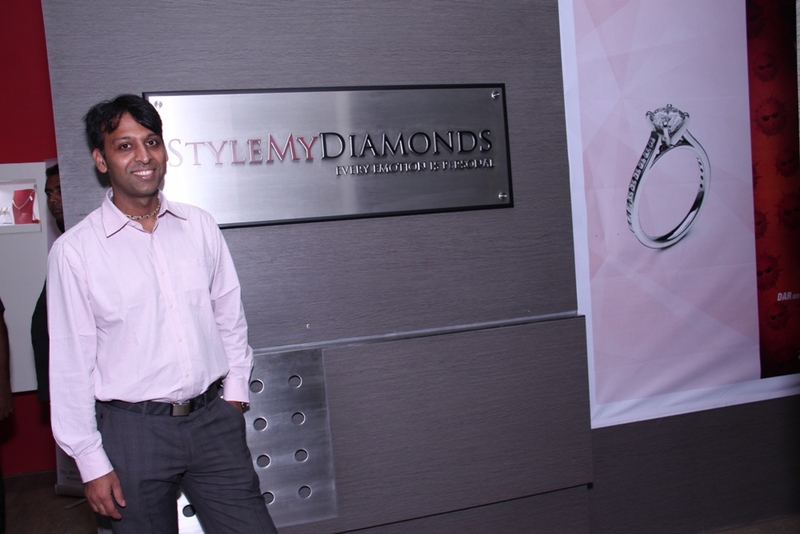 Furthermore, they plan to expand to reach to tier-2 cities, adding more categories to their portfolio.